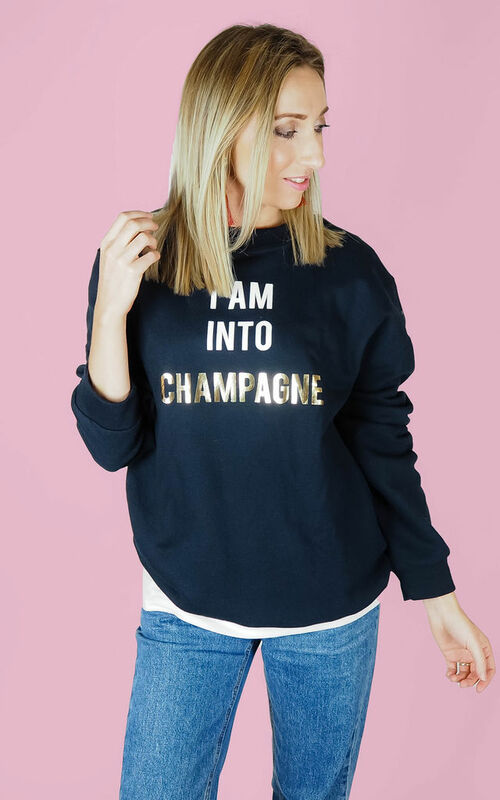 This fun sweater will definitely get you into the party mood! 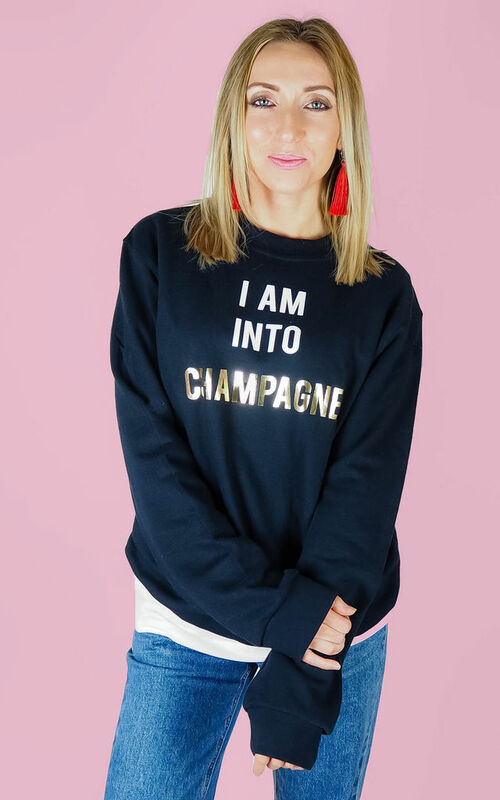 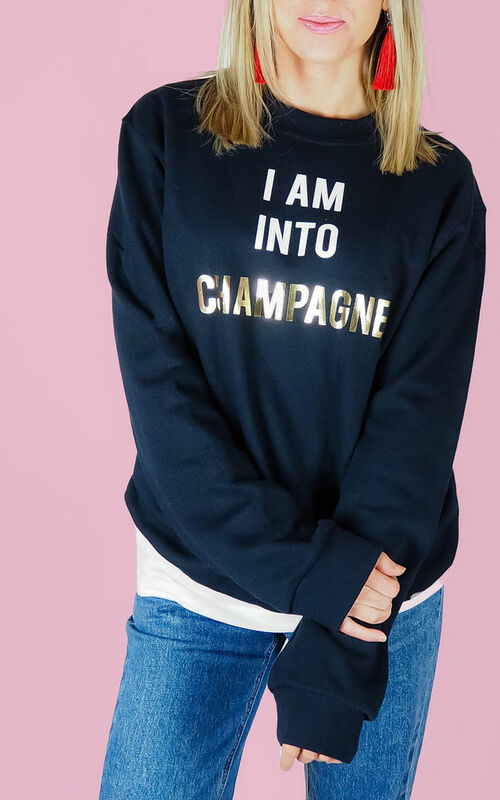 This unisex sweatshirt is handprinted and reads 'I Am Into Champagne'. Holly is an 8 and wears the size Small. Care: Machine Washable Up To 30 Degrees.